Taken from the Estival Pattern from Hooked for Life. 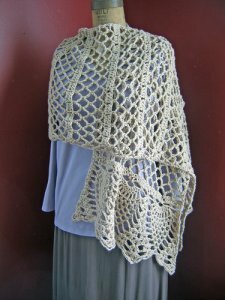 "An elegant shawl perfect for cool summer evenings or breezy autumn afternoons." This is the Estival pattern from Hooked for Life. Size I crochet hook is required but not included.